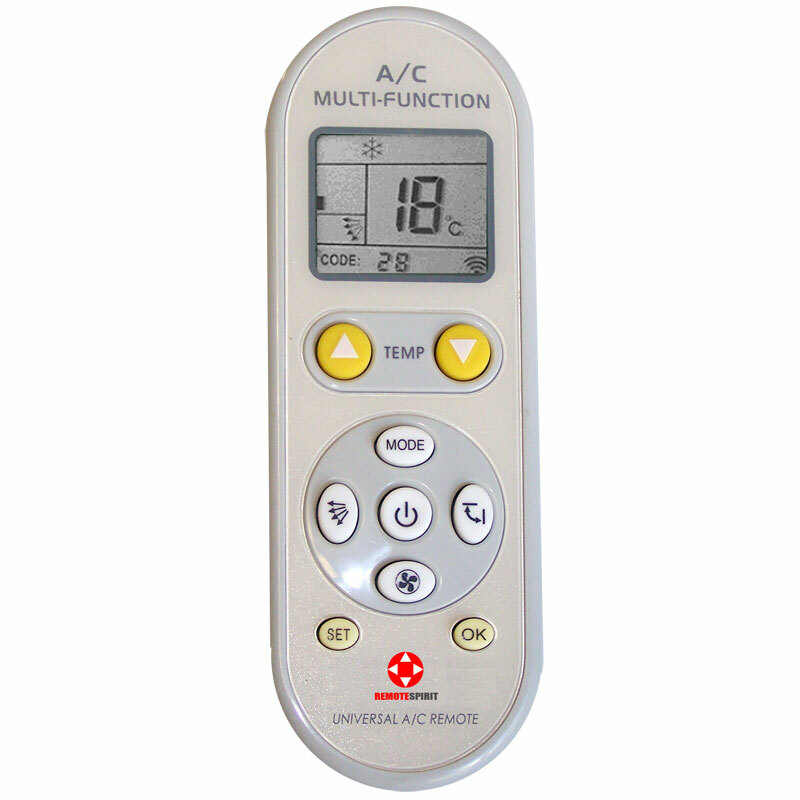 This universal air conditioner remote control can control over 100 different world famous brands of air-conditioners, including Fujitsu, Daikin, Hitachi, Mitsubishi and Samsung. This remote is the ideal product to replace lost or damaged air conditioner remotes and can control multiple functions including fan speed and air swing direction. - Elegant and simplistic design.